These grants can support creation, production, and presentation of high-quality arts activities, as well as projects that help overcome barriers to accessing high-quality arts activities, and projects that help instill the arts into the community and public life in our region. These grants offer funding for a variety of arts projects and programming including costs associated with public art, arts festivals, exhibitions, presentations, or performances. Organizations or groups in towns with a population under 2,000 can apply for grants up to $6,000 to fund projects that would benefit the residents of Beltrami, Hubbard, Clearwater, Lake of the Woods, or Mahnomen Counties. This grant is made possible by the voters of Minnesota, thanks to a legislative appropriation from the Arts & Cultural Heritage Fund. The Arts Downtown PR series continues from 5 to 7 p.m. Thursday, Nov. 21 at four locations in downtown Park Rapids. 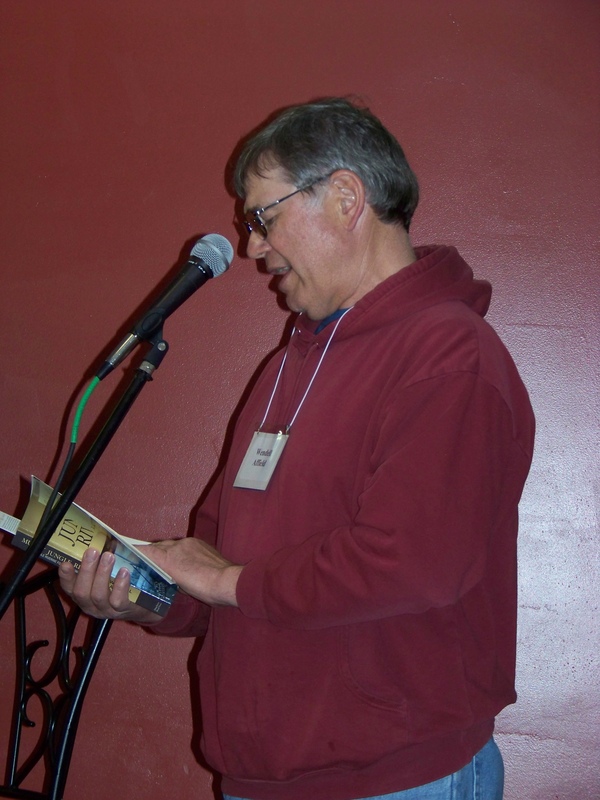 Author Kent Nerburn will talk about his latest novel, The Girl Who Sang to the Buffalo, from 5 to 5:30 and 6 to 6:30 at Beagle Books, 112 3rd Street West. Next door, April Hodge will sing various Broadway hits while accompanying herself on the piano at Bella Caffè from 5 to 5:30 and 6 to 6:30 p.m.
Eddie Kidd will start warming up for his America’s Got Talent audition in February in Los Angeles at The Good Life Cafe, 220 South Main, from 5:30 to 6 and 6:30 to 7. “Unpolished” will perform an eclectic mix of roots, Americana and Bluegrass music with rich three-part harmonies at Necce’s, 311 South Main, from 5:30 to 6 and 6:30 to 7. 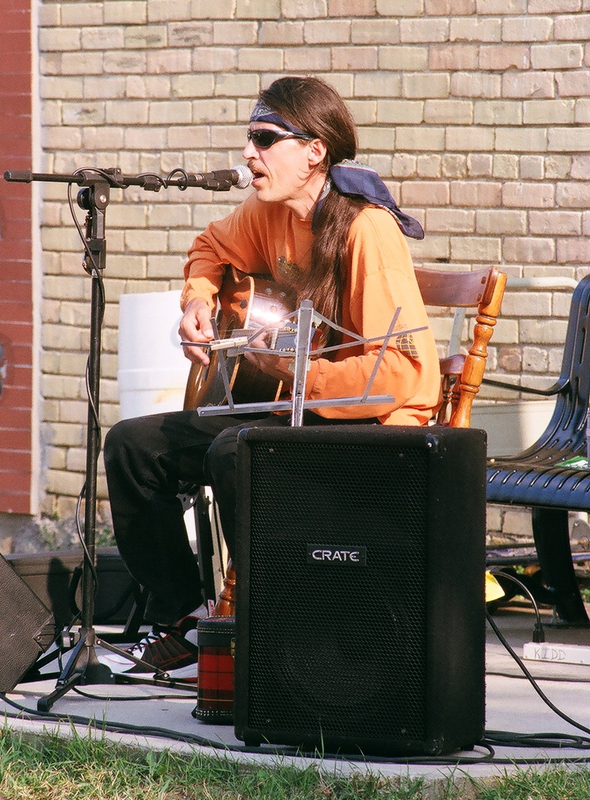 Members of the band are Sheldon Schiebe – vocals, mandolin and ukulele, Dave Karam – vocals and guitar, and Mark Bridge – vocals, banjo and mandolin. Silverback Colony will be performing at Armory Square, starting at 7:30 p.m. located at the corner of US Hwy. 71 and 2nd Street in Downtown Park Rapids. Silverback Colony has left its mark all across the region presenting alternative country with a rock backbone. Tickets are $11 in advance/$13 at the door. Advance tickets available online at https://kindcountry.eventbrite.com, at Smoky Hills Art in Downtown Park Rapids or Terrapin Station in Nevis. Names will be drawn from those attending Arts Downtown PR Nov. 21 for two free tickets to the 3rd Thursday Armory concert by Black River Revue Dec. 19. On Wednesday, November 14th from 5:30-6:30 p.m., Region 2 Arts Council is convening a Listening Session to gather community input on the needs of artists and arts organizations in Beltrami County. The meeting will be held at the Region 2 Arts Council office in the basement of the old Carnegie Library building at 426 Bemidji Ave. in Bemidji. With a new round of grant deadlines approaching, Region 2 Arts Council (R2AC) will offer free grant writing workshops for organizations, schools, and units of government and individuals within the five counties of Region 2. Workshops for organizations will cover Arts and Cultural Heritage Grants (Aug 16 deadline) and Arts Project Grants (Sept 12 deadline). Special attention will be given to Outcome-Based Evaluations for Arts and Cultural Heritage grants. Workshops for individual artists will cover Arts and Cultural Heritage Grants (Aug 16 deadline), R2AC/McKnight Career Development Fellowships (Sept 12 deadline), Individual Artist Grants (Oct 4 deadline), and Anishinaabe Arts Initiative Grants (Oct 3 deadline). Please REGISTER in advance. Email staff@r2arts.org or call 218 849-2996 or 1800 275-5447. Grants for organizations, schools, and units of government: 6-7:30 p.m. Grants for individuals: 7:30-8:30 p.m. Grants for organizations, schools, and units of government: 5:30-7:00 p.m. Grants for individuals: 7:00-8:00 p.m. Grants for organizations, schools, and units of government: 4:00-5:00 p.m. Grants for individuals: 5:00-6:00 p.m. Grants for organizations, schools, and units of government: 5:00-6:30 p.m. Grants for individuals: 6:30-7:30 p.m.
All workshops will familiarize potential applicants with the application process, what projects are eligible, how to develop a project budget and other tips. 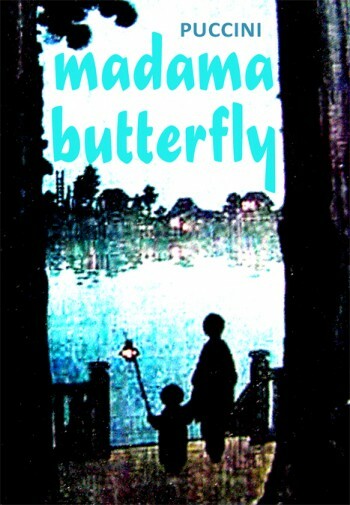 Loon Opera Company presents Puccini’s tragic love story Madama Butterfly onstage at Bemidji High School Auditorium on June 28 & 30 at 7:30 PM. This is a fully staged production complete with a cast of singers from across the nation and full orchestra comprised of members from the Bemidji, St. Cloud and Grand Forks Symphonies. Performed in Italian with English supertitles projected above the stage. Tickets are $25.00 and are on sale now. Tickets can be purchased at Kelsey’s Jewelry or by calling 218-368-8805. Major credit cards accepted by phone or at the door. Tickets will also be available at the door one hour prior to the performance. On Saturday June 16, 2012,Bemidji Community Art Center’s Spoken Word Series presents a Book Release & Reading of Muddy Jungle Rivers by author Wendell Affield. Reception with refreshments starts at 4:30, reading begins at 5pm with Q&A and book signing to follow. Affield is the recipient of a 2012 Region 2 Arts Council Individual Artist Grant, to be used for marketing his work.